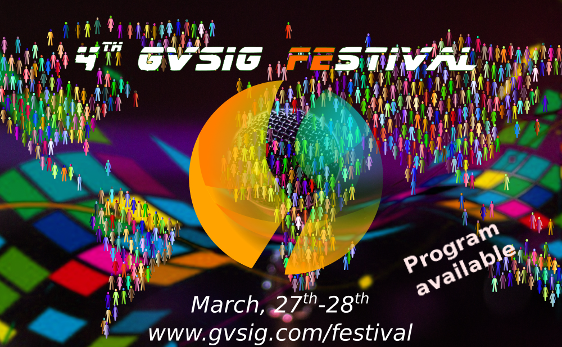 Building the FOSS4G 2019 Program! 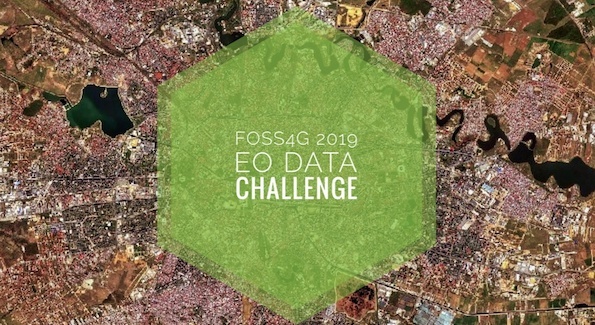 With great excitement, we announce that today the second major step in building the FOSS4G 2019 program has begun! As the Call for Contributions closed, we were overwhelmed by the great response of the community. With joy, we announce that we have received 295 submissions for the general track and 73 for the workshop section! The global FOSS4G is the flagship event of OSGeo, a grassroots community that puts high value on the needs and requests of its members. That is why in evaluating the talks that will form the FOSS4G 2019 Bucharest program stands the community voting process. Thus, please receive our invitation to read through all submissions received and vote! 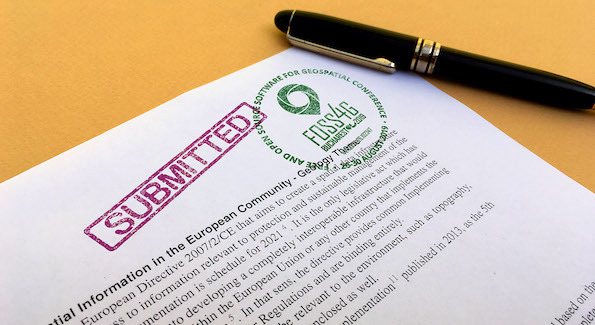 Simultaneously, the FOSS4G2019 Bucharest Program Committee has also started the first phase review, so stay tuned… The exceptional submission will be earlier announced! All the data that are used for the course can be downloaded from the following link: Data. 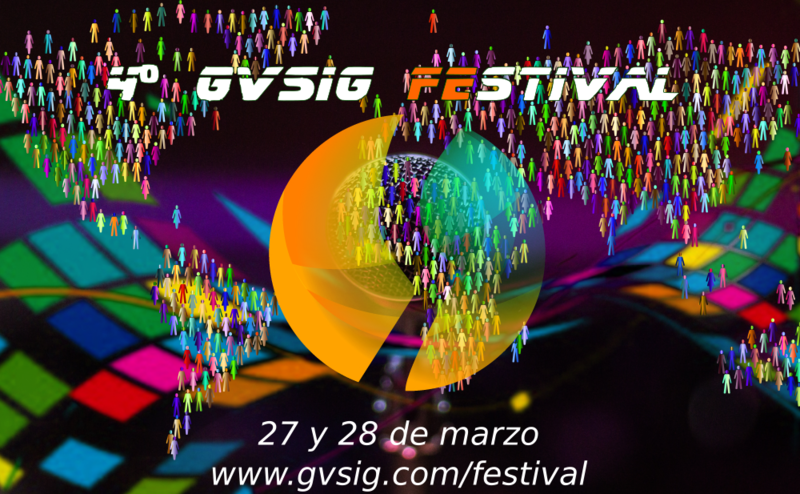 For doubts resolution and communication of any error in gvSIG Desktop, you can use the users mailing lists. In this post we explain how to register in the gvSIG lists and the best way to communicate any errors: What to do when you get an error in gvSIG? Regarding the support material for this course, it may be useful for you to have a book with exercises to learn SIG with this same Game of Thrones cartography. There are some changes, since it was made on previous gvSIG Desktop versions, but in general it is a good complementary material. Download link: GIS Book with Game of Thrones. Google has initiated a Season of Docs collaborative program aimed at improving open source documentation. It provides a great opportunity for us involved in open source and documentation to focus on big communication challenges. Vision: Does everyone know the characteristics of good open source documentation? Does anyone know? Let’s collate research and best practices into accessible guides and templates. Targetted: Projects have a range of audiences with differing technical backgrounds, attention spans and information needs. A range of documentation types are needed. Each requires different levels of depth, specificity, currency, narrative, personalisation, examples, and more. Empower everyone to contribute: Good documentation benefits from cross-disciplinary contributions: from developers, users, domain experts, teachers, technical writers, graphic artists, and translators. Ramp-up time is high for any group attempting to learn another’s skill-set. Open source documentation processes are typically set up by developers, for developers, and have a significant barrier-to-entry for others. How can we fix that? Attract volunteers: How can we apply our knowledge of collaborative and volunteer communities to attract documentation teams? How can we help volunteers maximise the impact and effectiveness of their contributions? Current and Sustainable: How can we sustainably keep documentation synchronised with rapidly evolving software? How do we help users find current material and archive outdated docs? How do we minimise maintenance? Use and contribute to documentation best practices. Use templates and guides for key documentation types to help cross-domain collaboration. Attracts volunteers, from multiple user profiles. Refines workflows and tools to reduce barriers-to-entry. Focuses on a specific initiative which tests the bounds of these ideas for a specific project and captures lessons learned. Developing or refining a specific documentation type for a project. Mentoring a project’s community, increasing the initiative's sustainability. And documentation maintenance will become more sustainable. Document type definitions I’ve written before. Observe que adicionamos toFixed(3) aos valores de latitude e longitude. Isso nos dá uma exibição melhor, sem alterar os dados em si. Se você for observador, você deve ter notado que nós já fizemos isso para a camada placer em nosso último post (parte 6), nós apenas não sinalizamos isso. Às vezes é bom saber onde você está no mundo. Para fazer isso, adicionaremos uma exibição das coordenadas do mapa que são atualizadas conforme movemos o mouse. Isso configura nosso local de exibição no canto inferior esquerdo do mapa. O zIndex de 900 garante que seja exibido em cima de todo o resto. Em seguida, precisamos configurar o evento para fazer a captura e exibição real das coordenadas à medida que o mouse se move. O código completo pode ser baixado aqui. Neste post vamos “trocar de marcha” e instalar o Leaflet localmente, depois adicionar uma camada de um arquivo GeoPackage. Existem algumas maneiras de instalar o Leaflet : baixe-o do site ou instale-o npm. Em ambos os casos, você precisará mover os arquivos leaflet.js, leaflet.css e o diretório de images para o local apropriado para o seu site. A camada é criada especificando a URL (caminho) para o arquivo GeoPackage e fornecendo o nome da camada (points). O restante do código se parece muito com código visto no último post. Na opção pointToLayer, estilizamos um pouco diferente, removendo o traço (contorno) do círculo e fornecendo uma cor vermelha escura com opacidade de 0,6. Na opção onEachFeature é semelhante, com exceção dos nomes de campo usados ​​para o pop-up. O código completo pode ser baixado clicando aqui. Join our crowd funding campaign ! It’s official, QField for QGIS 1.0 is out! We are incredibly pleased and proud of just having released such a jewel and are convinced that, thanks to all its features and conscious design choices, QField will make your field digitizing work much more efficient and pleasant. Packed with loads of useful features like online and offline features digitizing, geometry and attributes editing, attribute search, powerful forms, theme switching, GPS support, camera integration and much more, QField is the powerful tool for those who need to edit on the go and would like to avoid standing in the swamp with a laptop or paper charts. Let’s see what makes QField probably* the best mobile GIS in the world. QField focuses on efficiently getting GIS field work done and combines a minimal design with sophisticated technology to get data from the field to the office in a comfortable and easy way. 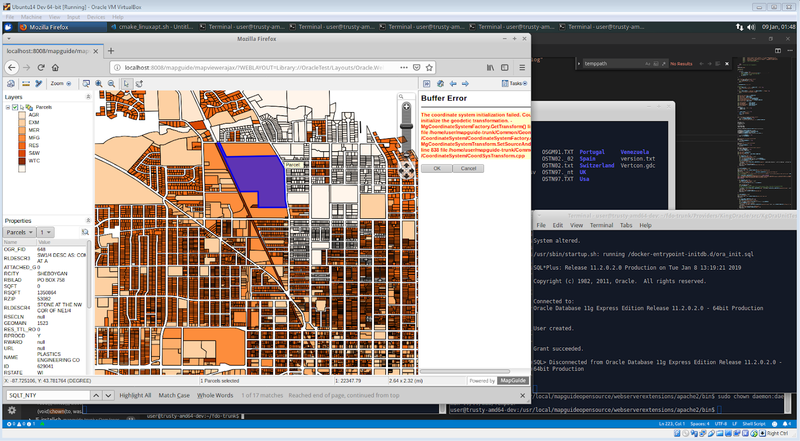 Thanks to the underlying QGIS engine and a lot of optimizations, QField is powerful and snappy. Even with complex projects, QField is a joy to work with. Allowing a seamless digitizing experience is a paramount goal of QField. 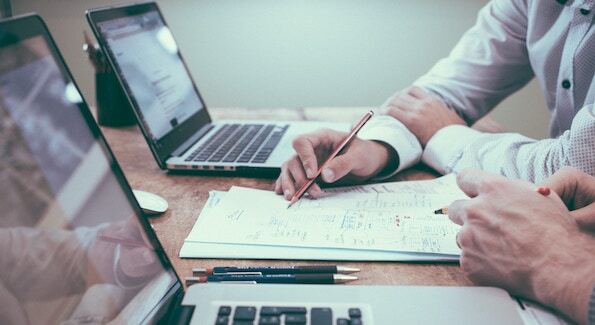 Thanks to a cleverly designed adaptive user interface and specific features like real-time attribute checks and snapping support, QField allows its users to be extremely time efficient. To be the best, you need to be clever but also skillful. QField’s efficiency is matched only by its featureset that allows its users to make the most out of their fieldwork time. The beauty of GIS is that maps are dynamic. Layers can individually be shown and hidden and information can be presented more or less prominently based on the task at hand. QField supports the endless styling possibilities offered by QGIS and thanks to a well placed theme switcher you can change the looks of the entire project with a single click. For even more customizability, QField allows hiding and showing layers by simply long-pressing on the layer name. Furthermore, QField boasts a fully configurable attribute text search that will allow you to geolocate and edit that exact object you were looking for. Editing Geometries on the field is probably the most complex task an operator has to deal with. QField simplifies this process through an adaptive toolbar that appears only when necessary, snapping support and a crosshair digitizer. Thanks to these enhancements, QField allows reducing the error rate significantly. Simple internal GPS accuracy might be enough for basic projects but cadastral surveying and other high accuracy digitizations have much higher requirements. QFields natively listens to the Android location services so it can take advantage of the best location provided by external devices. Thanks to QField’s native support for generating PDFs based on QGIS’s print layouts, your on the fly daily report map is just one click away. When dealing with multiple projects, quickly being able to switch between them is key. QField comes with a beautiful file selector with favorite directories (long press on a folder to add it to the favorites and long press on the favorites list to remove it) and an automatic list of the last three opened projects that will save you heaps of time while looking for your projects. QField does not impose any constraint on the data model, it is your data and you decide what they should look like and what values are acceptable. QField can enforce constraints for you and you can choose among various type of widgets to represent your data. QGIS will preconfigure some field types automatically, all you’ll have then to do is tweak the settings if you want and your project is ready for mobile prime time. Our documentation has all the information you need. QField uses QGIS to set up maps and forms so it automatically supports a wide variety of data formats. Thanks to this, you can comfortably prepare your project once and then deploy it everywhere. 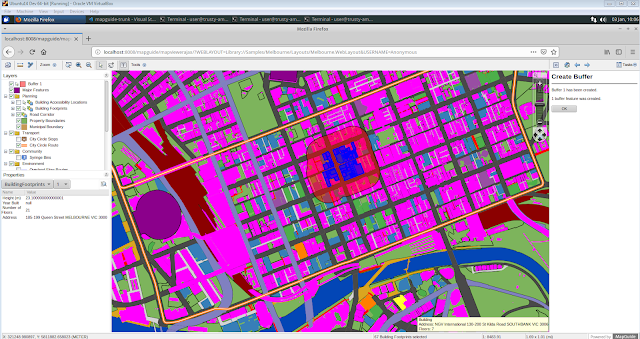 And since QGIS also has a server component, your project can be served on a WebGIS with the very same beautiful looks. In fact you can see this exact infrastructure up and running under demo.qfield.org and with the “online_survey.qgs” project included in the QField demo projects. You can synchronize your project and data (in case you are not using a centralized online database) using various methods thanks to our QFieldSync plugin. In the near future we will add a cloud synchronization functionality, so that you will be able to seamlessly manage your project online and have them automatically deployed to your devices. You can easily install QField using the Playstore (qfield.org/get), find out more on the documentation site (qfield.org), watch some demo videos on our channel (qfield.org/demo) and report problems to our issues tracking system (qfield.org/issues). Please note that the Playstore update can take some hours to roll out and if you had installed a version directly from GitHub, you might have to uninstall it to get the latest Playstore update. QField, like QGIS, is an open source project. Everyone is welcome to contribute to making the product even better – whether it is with financial support, translation, documentation work, enthusiastic programming or visionary ideas. We would like to thank our fantastic community for all the great translations, documentations, bug reports and general feedback they gave us. Thanks to all this, we were able to fix plenty of bugs, address performance issues and even add some super cool new features. As masterminds behind QField and core contributor to QGIS, we are the perfect partner for your project. If you want to help us build a better QField or QGIS, or if you need any services related to the whole QGIS stack, don’t hesitate to contact us. OPENGIS.ch helps you setting up your spatial data infrastructure based on seamlessly integrated desktop, web, and mobile components. We support your team in planning, developing, deploying and running your infrastructure. Thanks to several senior geodata infrastructure experts, QGIS core developers and the makers of the mobile data acquisition solution QField, OPENGIS.ch has all it takes to make your project a success. OPENGIS.ch is known for its commitment to high-quality products and its continuous efforts to improve the open source ecosystem. Hoje vamos adicionar alguns pontos na rota que criamos nos últimos posts. O método para adicionar esses pontos será adicionar uma camada GeoJSON, adicionando um marcador e pop-up com algumas informações. Para adicioná-los aos nossos recursos GeoJSON, a sintaxe será um pouco diferente, já que estamos processando-os em um loop. A camada GeoJSON é criada e, usamos a opção pointToLayer para criar um circleMarker para cada recurso. Na sequencia, criamos variáveis ​​para conter os atributos do pop-up e, em seguida, vinculamos o pop-up ao recurso. Poderíamos ter usado as propriedades do recurso diretamente na instrução bindPopup, mas atribuí-las aos variables facilita um pouco a leitura do código. Por fim, adicionamos os eventos do mouse para exibir e remover o pop-up no mouse e, em seguida, adicionamos a camada ao mapa. Se você quiser baixar o código completo (HTML, JS, JSON) basta clicar aqui! Planet OSGeo is a window into the world, work and lives of OSGeo members, hackers and contributors. If you are a friend of the OSGeo Foundation and would like your blog aggregated here, please see the Planet OSGeo wiki page. Brought to you by the Planet Venus aggregator, cron and Python . Design based on Planet classic_fancy template made by Steven Garrity and modified by Paolo Corti, Jorge Sanz and Mateusz Loskot for Planet OSGeo. Please mail on planet (at) osgeo (dot) org if you have a question or would like your blog added to the feed. Thanks to Chris Schmidt for bringing the idea of Planet OSGeo.